In this fascinating lecture, Dr. Sherman Jackson seeks to step outside of the restrictive frameworks and language posed by current western critiques of ISIS. To accomplish this, Dr. Jackson takes a look at the assessments of ISIS, Al-Qa’idah, and other groups from members of Egypt’s al-Gama’ah al-Islamiyah, a group said to be responsible for the assassination of former Egyptian President Anwar Sadat. After years of violent uprisings against the Egyptian government, al-Gama’ah al-Islamiyah issued a surprising renunciation of violence, repudiating its former ideology and replacing it with a shari‘ah-based understanding and assessment of the purpose and proper application of jihad. 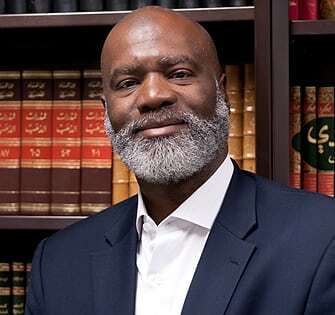 Sherman A. Jackson holds the King Faisal Chair in Islamic Thought and Culture and is professor of religion and American studies and ethnicity at the University of Southern California. He was formerly the Arthur F. Thurnau Professor of Near Eastern Studies and Visiting Professor of Law and Professor of Afro-American Studies at the University of Michigan (Ann Arbor).